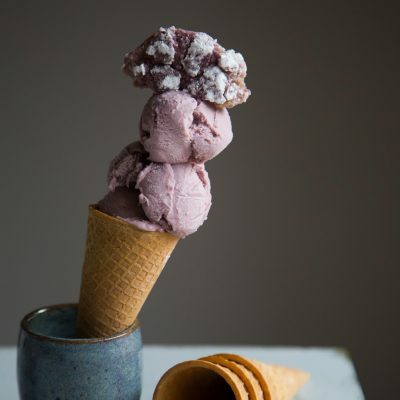 Ube Coconut Ice Cream (with Ube Crinkle Cookies) – Learn how to make this dairy-free soft and creamy ube coconut ice cream topped with soft ube crinkle cookies. This is a summer staple everyone must try! 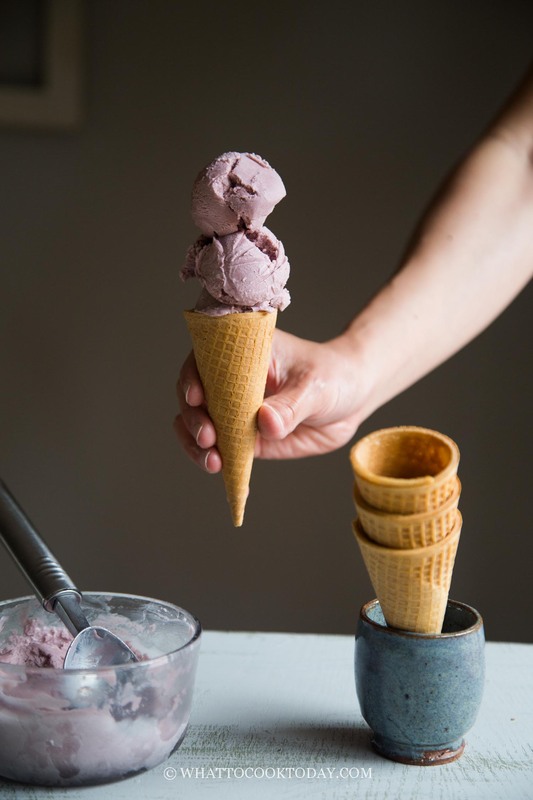 You might think I don’t know what the heck ube is or how to pronounce it (oo-bay), this tuber root vegetable has gained significant popularity lately. My first exposure to ube was in Hawaii when I saw dessert and cakes made with ube. Then my own experiment with ube crinkle cookies has changed our lives forever. 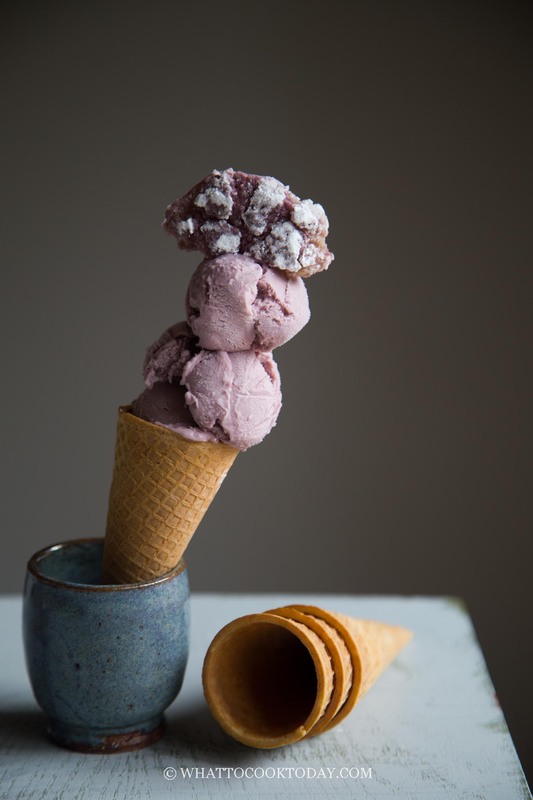 Our kids absolutely in love with those cookies AND this ube coconut ice cream! separately OR TOGETHER! Sorry, I didn’t mean to yell! But, I got a bit too excited with the combination of both together! 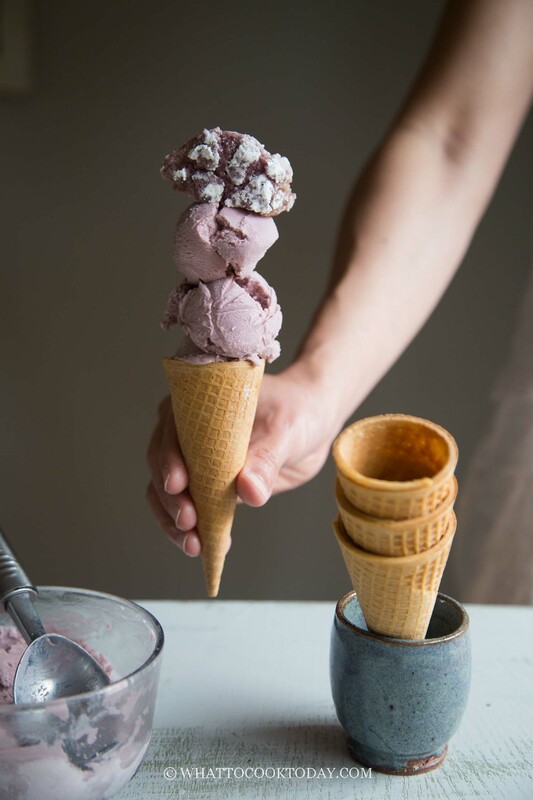 This ube coconut ice cream can be served as is without the ube crinkle cookies, but if you happen to make some on the same day like I did, please put them together! Like I’ve mentioned before that fresh ube is not available where I’m at. 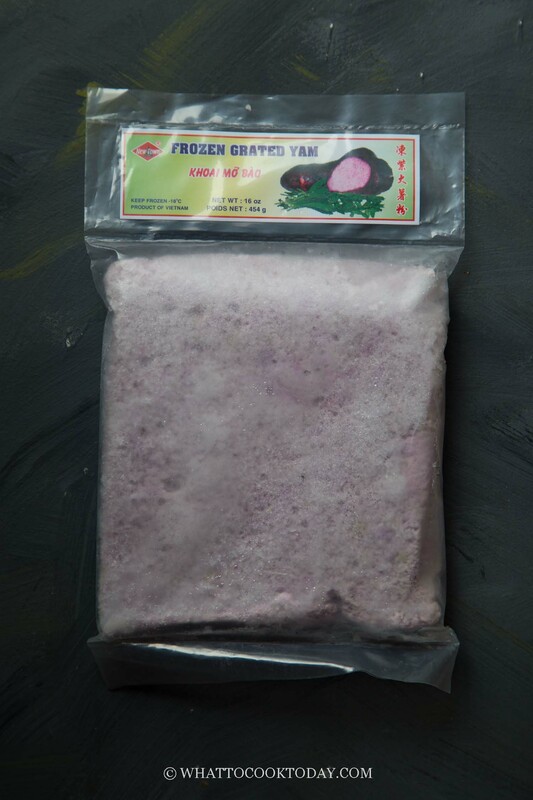 The best I could find was this frozen grated ube. 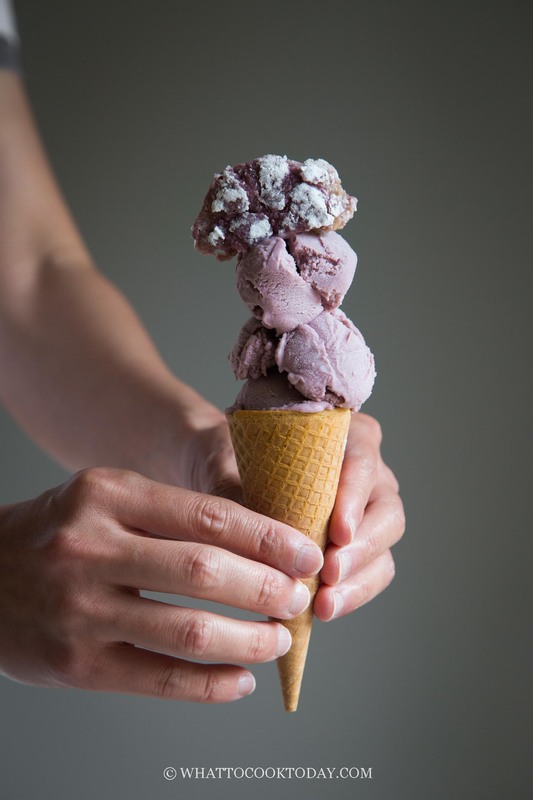 Our summer is just not the same without the addition of this creamy ube coconut ice cream. The mild taste of ube is just enough to let you know that hey..I’m here! 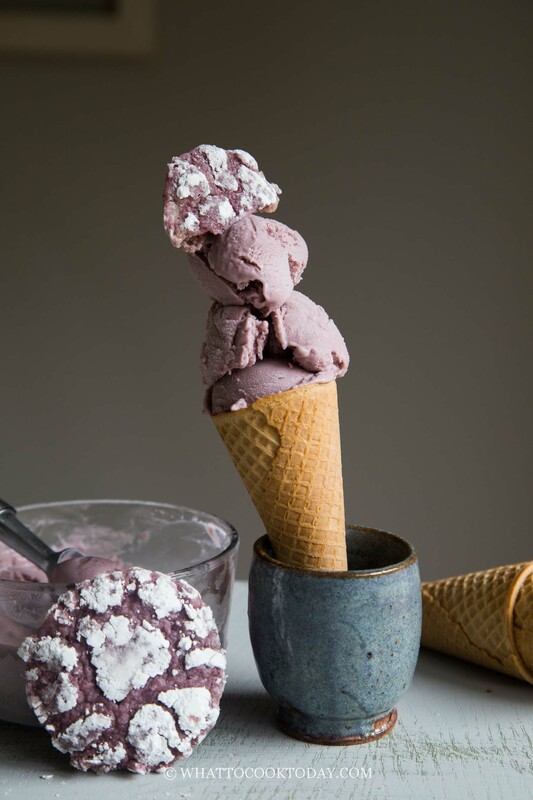 without overwhelming your ube coconut ice cream experience! 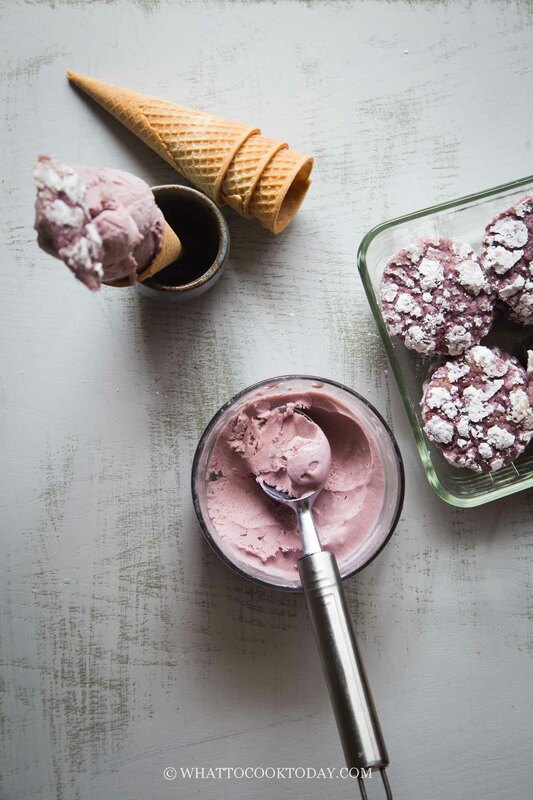 Learn how to make this dairy-free soft and creamy ube coconut ice cream topped with soft ube crinkle cookies. This is a summer staple everyone must try! My two favourite flavours combined, I’m going to be eating this all summer long!